"Luxurious living has been uniquely embodied in this stunning home tucked away in the coveted Glenwood community of Aliso Viejo, sought-after for its Jack Nicklaus-designed golf course, premiere aquatics and fitness centers, and exclusive country club. Entering through a contemporary glass-panel door, this home's open floor plan allows for free-flowing movement between indoor and outdoor living areas through a 25' x 8' sliding glass door. 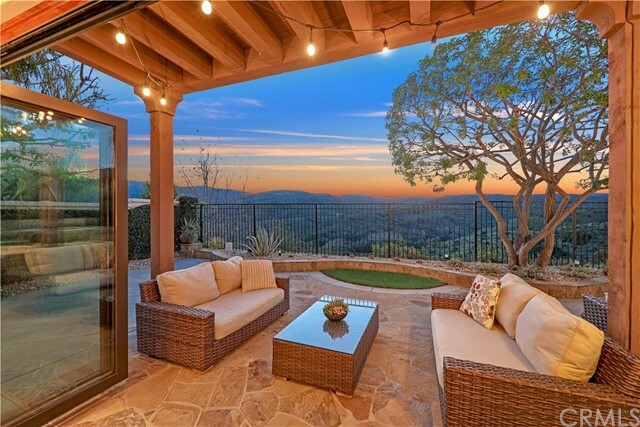 The stunning outdoor living area features poured concrete "
"A once in a lifetime opportunity to own an UNOBSTRUCTED CANYON VIEW home in the sought enclave of Silver Oaks. The gorgeous black-bottom pool, spa, striking professionally designed landscaping, built-in BBQ and spacious yard contains the utmost privacy and spectacular views. Fully paid, only 3 years new SOLAR SYSTEM, Folding doors to bring the outside in, Smart Home Integration + TONS MORE! Soaring ceilings invite you into the formal entry with beautiful travertine flooring and draw you to the f"
"Enjoy resort-style living in the coveted Glenwood community of Aliso Viejo, sought-after for its Jack Nicklaus-designed golf course, aquatics and fitness centers, and country club. This home redefines luxury living with an open floor plan, natural light, main floor bedroom with en-suite bath, beautiful flooring, crown/baseboard moldings, plantation shutters and a 3 car garage. 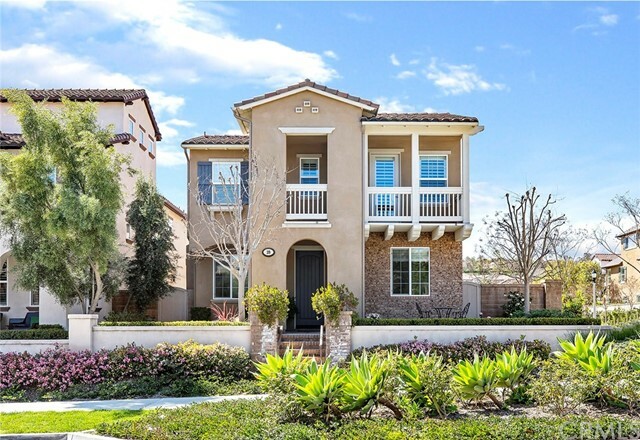 The kitchen is a chef s dream with upgraded stainless steel appliances, double convection ovens, a six-bu"
"20 Cabrillo Terrace sets precedence for Luxury living in the prestigious Country Club Community of Glenwood. This elegantly designed home is notable for its 12-foot high ceilings, open floor plan, large indoor- outdoor living area, and magnificent upgrades using the finest finishes and materials. The upgrades include a gourmet kitchen with top-of-the line stainless steel appliances, 6 burner range with electric griddle, built-in refrigerator, oversized granite kitchen Island, double oven, and a "
"This striking contemporary property is a rare find in the sought after Country Club Community of Glenwood as it sits on over 6,500 square feet of land and notable for the open floor plan with indoor outdoor living space and a wrap around backyard. This 4 bedroom 4 bath home offers extensive upgrades such as a 6 burner commercial style stove, built-in refrigerator, double oven, stainless steel appliances, polished granite island, contemporary lighting, an office off of the kitchen, a main floor b"
"This traditional Tuscan style home is situated in the exclusive gated enclave of Ventana Ridge and enjoys dramatic sit-down views of the city lights and mountains. The open-concept floorplan features a gourmet kitchen with stainless steel GE Monogram appliances that opens to a large living area with dramatic views, and a coveted downstairs bedroom with a full bathroom. The spacious master suite boasts a spa-like bath with a large soaking tub, his and hers walk-in closets and French doors that le"
"84 Summerland is a contemporary masterpiece located in the Prestigious Country Club Community of Glenwood. This home is notable for its open floor plan, open views and contemporary upgraded. These upgrades are all the finest finishes and materials starting with the Glass Door entry, large plank hardwood rustic wood floors, upgraded kitchen with white quartz countertops, stunning backsplash, high-end appliances, designer crystal chandeliers, wooden shutters, built-in custom entertainment center i"
"Welcome Home! 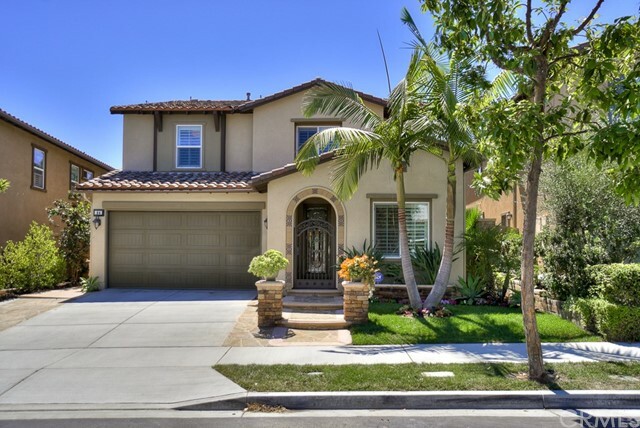 This well maintained two-story executive home is situated on a rare pool sized lot on a cul-de-sac street in the highly sought-after neighborhood in picturesque Aliso Viejo. 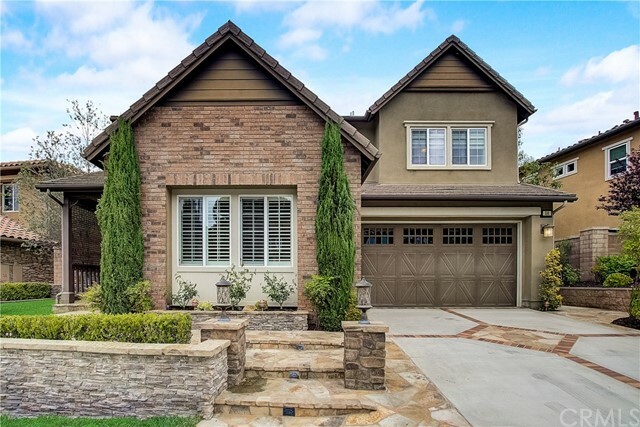 Beautifully appointed with neutral paint with crisp white trim, a cozy fireplace, recessed lighting, and travertine flooring throughout the main living areas of the home. Large windows and high ceilings bask the home in an abundance of natural light. The open concept kitchen was designed with functionality and "
"Refreshed & Staged for your Happy New Year Welcome Home! 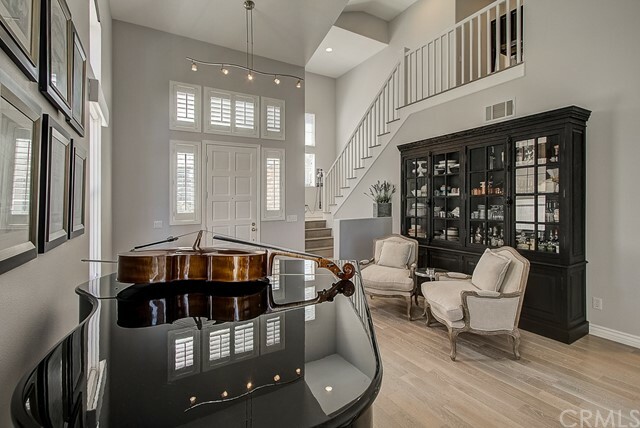 This invitingly staged & privately positioned residence is anchored by a commanding Dual Staircase floorplan, plus Custom Loft, featuring stately wood & wrought iron details, which center the casual to formal living spaces via an appealing flow of engaging architectural lines and designer nuances. Enhanced by multiple custom elements throughout, 22 Endless Vista invites you to both seamlessly live & effortlessly entertain. Flowing footprin"
"Located in the desirable Vista Pointe Community, this home has 5 bedroom, 1 den, 3,75 bathroom, a big loft, and 3 car garage. 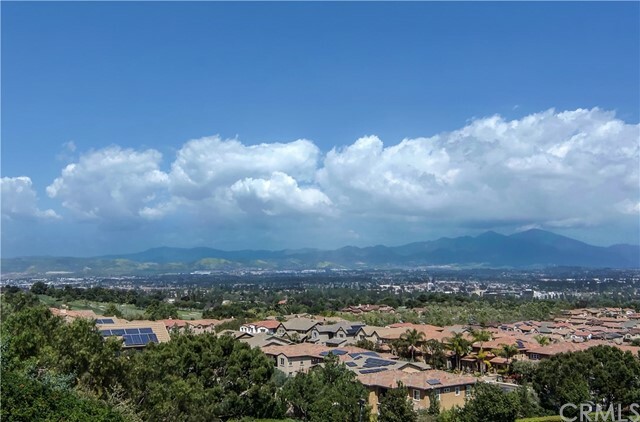 With total living space about 3200 sf, it has a spectacular view of Aliso & Wood Canyons. The upgraded gourmet kitchen has wood cabinet with pullout shelves, tons of storage, granite slab counters, large kitchen island, newly installed build-in wall ovens, and new microwave. The family room, which opens to the kitchen, has an appealing fireplace with custom mental. 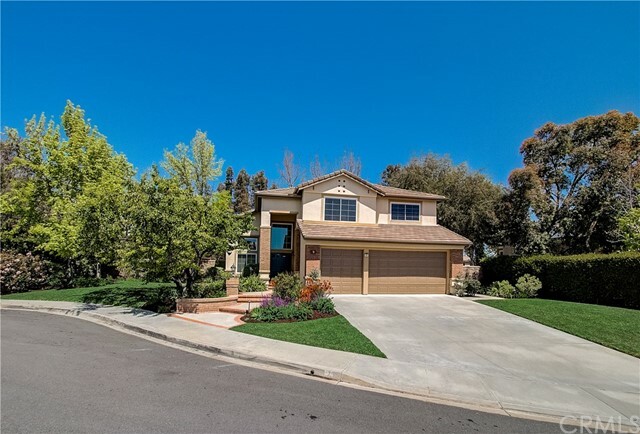 The ma"
"Perfectly situated exclusive gated community, this cul-de-sac home is light & bright & offers an open floor plan w/wonderful features any buyer will appreciate. Upon the gorgeous flagstone exterior entry, you are invited to high volume ceilings, elegant formal wood oak stair case, large functional kitchen, separate breakfast room, main floor office/den that can be the 4th bedroom, custom modern window coverings, plantation shutters, full bathroom downstairs, private courtyard w/flagstone pavers "
"Your Gorgeous 2 Story Model 2 (Train) built in 2008 is now available for sale. 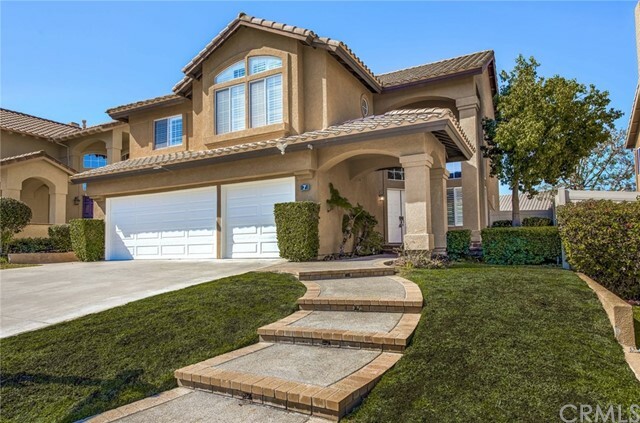 This is Golf Resort living in Aliso Viejo at its finest! 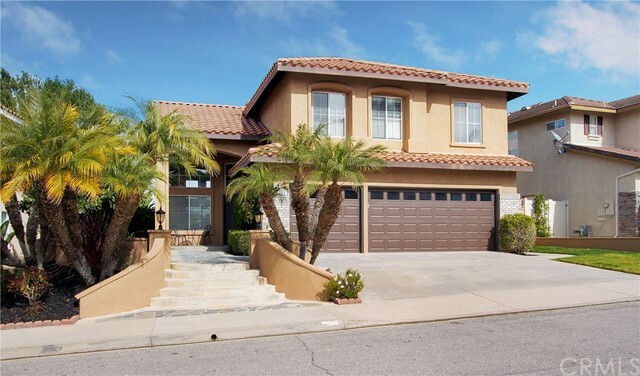 Situated in the Glenwood Community in Aliso Viejo. 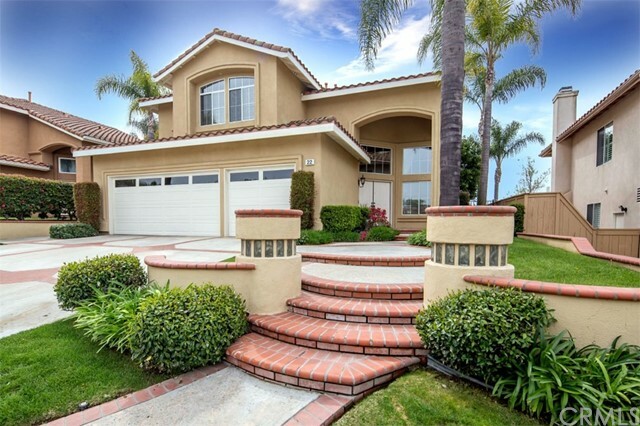 This Shea home built adjacent to the Aliso Viejo Country Club - A Jack Nicklaus designed 18 hole golf course! Prime Location - Upgrades include; Private Office with beveled doors, Downstairs Bedroom. upgraded Kitchen with Granite, custom back splash and pull out drawers throughuout the entire kitchen. 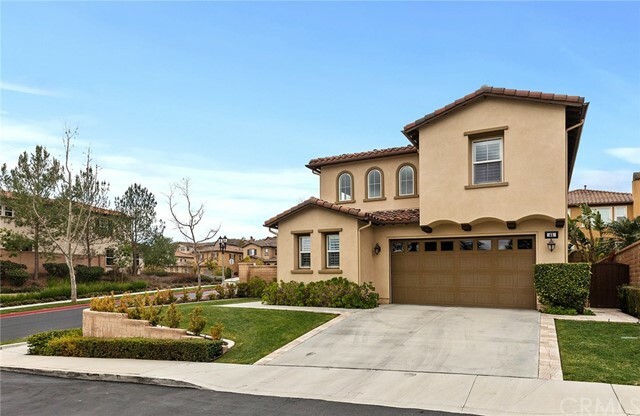 There is R"
"Located in the desirable Vista Pointe Community this executive style home boasts panoramic canyon views and a spacious 2,245 sq ft floor plan with 4 bedrooms and 3 bathrooms. Nestled on a peaceful corner location relax in the privacy of the pool sized backyard. Upgraded with hardwood and tile flooring and custom barn door style media center. The gourmet sized kitchen features abundant granite counters with recessed food preparation station, center-island, generous cabinet storage and walk-in pan"
"39 Golf Dr. sets precedence for Luxury and Resort-Style living in the prestigious Country Club Community of Glenwood. An incredible opportunity to acquire a corner lot property elegantly designed with a spacious open floor plan leading to a landscaped backyard with a beautiful water feature and a built-in BBQ with welcoming seating space perfect for entertainment. The interior sets an elegant tone with hardwood floors encompassing all throughout, wood plantation shutters, upgraded light fixtures"
"Stunning four bedroom home in the highly sought after tract of Vista Ridge. Beautiful slate floors lead you up to the living room, formal dining room, kitchen, master bedroom, and bathrooms. Rich auburn laminate wood floors lead you into the upgraded kitchen with granite countertops, stainless steel appliances, a double oven, spacious island, plantation shutters, and access to a small balcony that is piped for gas for outdoor cooking. 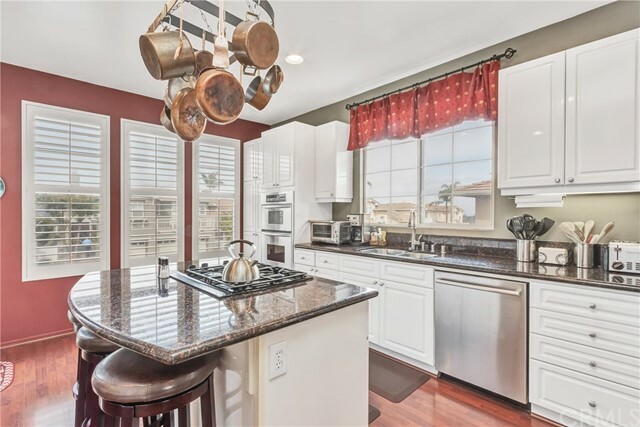 Pantry and storage space abound in this spacious kitchen as w"
"An Exceptional opportunity to own this beautifully upgraded home, nestled in a superior cul-de-sac location, in the sought after Community of Lyon Ridge, within the heart of Aliso Viejo! This marvelous home features a spacious floor plan and is one of the best original plans from the builder, featuring 4 full bedrooms, 3 full baths plus a spacious loft area downstairs, which could serve as an office area!! 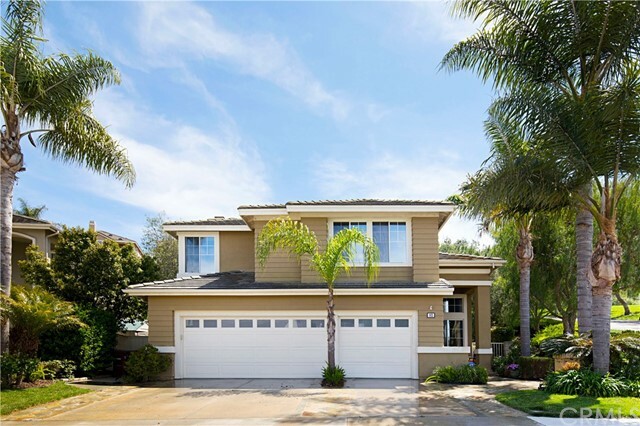 Upgrades include Travertine flooring, Shutters, Granite Counter Tops, stainless steel appl"
"Gorgeous Pacific Ridge home on a large lot near the end of a cul-de-sac. The double door entry leads to a beautiful, light and bright living room with dramatic vaulted ceilings and lots of windows. The popular floorplan opens up the kitchen to the family room, living room and dining room. Granite counters, stone backsplash, stainless steel appliances including a brand new gas range, and a breakfast bar complete the well-appointed kitchen. Numerous upgrades include plantation shutters, granite co"
"Fantastic 4 Bedroom, 2.5 Bath home located in Pacific Ridge with a Private Pool! Beautiful upgraded kitchen that opens up to the family room with over-sized windows looking out to the backyard. The Master Bathroom has a soaking tub and a walk in closet. Fantastic view from the kitchen, master bedroom and bathroom and backyard. This home enjoys the privacy of being on a Cul-de-sac, three car garage, and is just beautifully maintained. 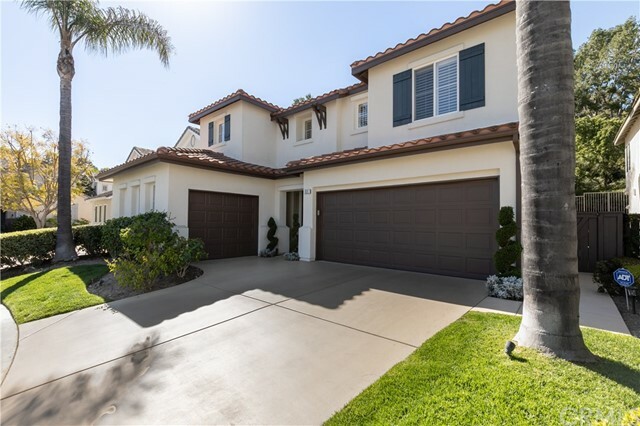 Located near parks, golf courses and tennis, this is one of th"
"This immaculate home located on a desirable cul-de-sac in the Carmel neighborhood of Aliso Viejo is completely turnkey! Fresh neutral paint, upgraded baseboards, crown molding, upgraded tile flooring on 1st level and new plush carpeting on second level complement the bright and open floorplan. Enter into the inviting living room that seamlessly flows to the dining room. The adjacent kitchen is well-appointed with fresh white cabinets, granite counters, stainless steel appliances, large walk-in p"
"A 7,000 sq. 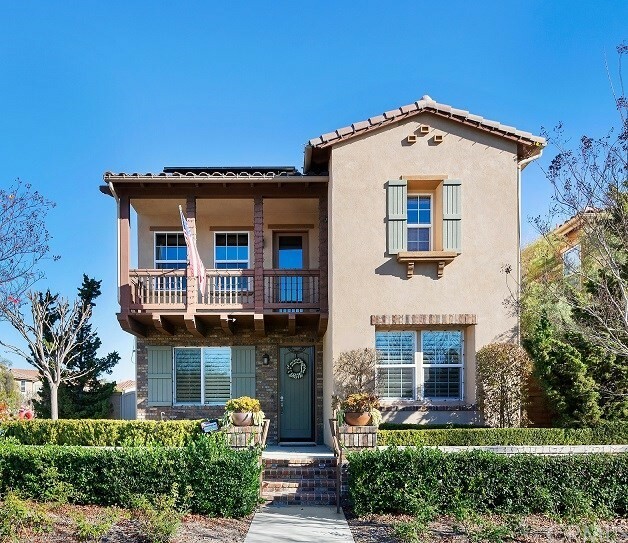 ft+ lot is a RARE find in Aliso Viejo! This trophy, pie shaped lot home is located on a cozy Cul-De-Sac with a 3Car direct access garage & plenty of driveway space. Upon entering this turnkey home, you are greeted with soaring 25ft+ tall vaulted ceilings, an open floor concept centered around a grand staircase. Upgraded recessed lighting, dimmers & fans throughout the home. Currently the 4th bedroom has been converted into a larger family room. It can easily be converted back to a MA"
"This Gorgeous and Elegant home is Move-In-Ready and located in the Prestigious Community of Pacific Ridge!! 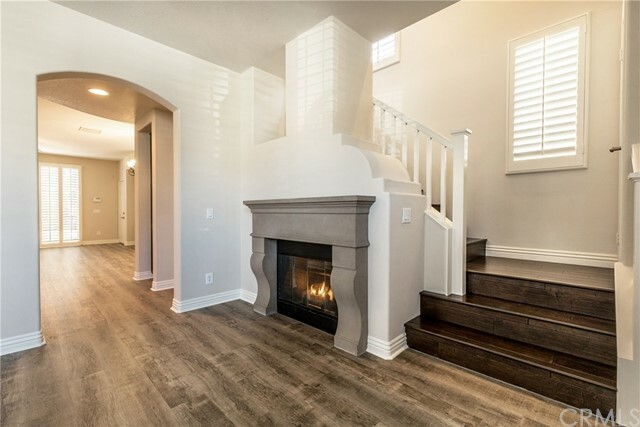 The home welcomes you with a double-door entry leading to an elegant staircase and beautiful wood flooring, lending a warmth to the beauty of the home. The living room and dining room have high-soaring, cathedral ceilings creating an open feeling, and a multitude of windows illuminate the home with lots of natural light! The family room has lots of space, built-in shelves and a real firepl"
"Enter this home and you are immediately drawn into the space and greeted with high, vaulted ceilings, hardwood floors and large windows that frame the views of the hills beyond. The modern kitchen has a marble island, stainless steel subway tile back splash and appliances and is open to a family room with a gas fireplace. Upstairs you'll find the Master suite with high ceilings, walk in closet, large bath and private balcony to enjoy the breathtaking sunsets. 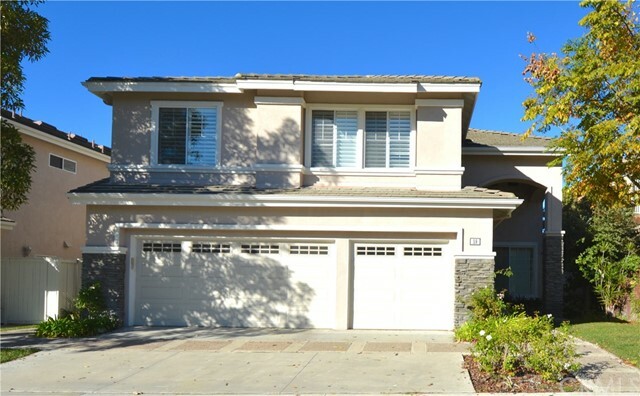 Two more bedrooms share a Jack and J"
"Panoramic View Home Cul-De-Sac Street in Popular Carmel Tract of Aliso Viejo overlooking mountains and hillsides. Biking and Hiking Trails and Schools are nearby. Dual Pane Windows, Hardwood Oak Flooring in Living and Dining Room, Quartz Counters, Center Island storage. Master Bedroom & Family Room Fireplaces. Downstairs Bedroom with adjoining full bath. Vaulted Ceilings in Living, Dining and Master Bedroom. Master Bath and Separate Shower. Large Walk-in closet. Low HOA, Low Tax Rate, Now Viewin"
"PRICED TO SELL, this home won t last! 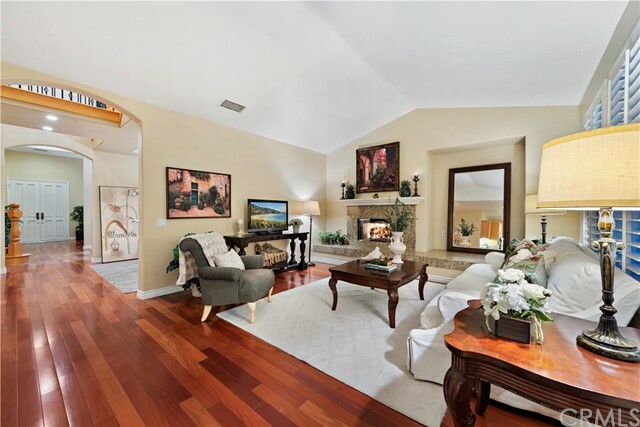 Incredible opportunity to own an immaculate move in ready, single family home located in the sought after community of the Promenade, the heart of Aliso Viejo. 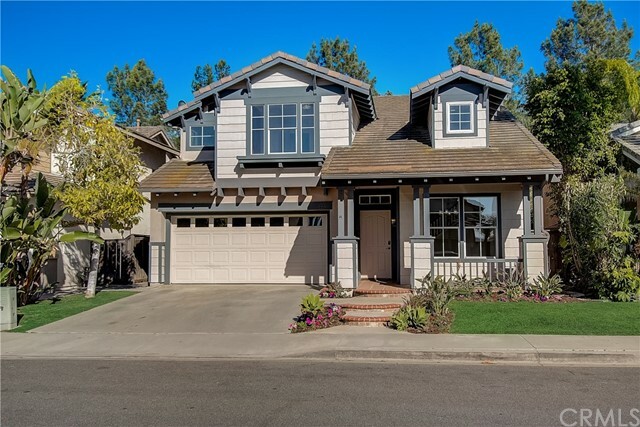 Tastefully upgraded, this classy and chic turnkey home is the one you have been endlessly looking for in this low inventory market. Lovely home right across the street from the town center which has a movie theater, shopping, dining and a hub for all your errands; and walking distance t"